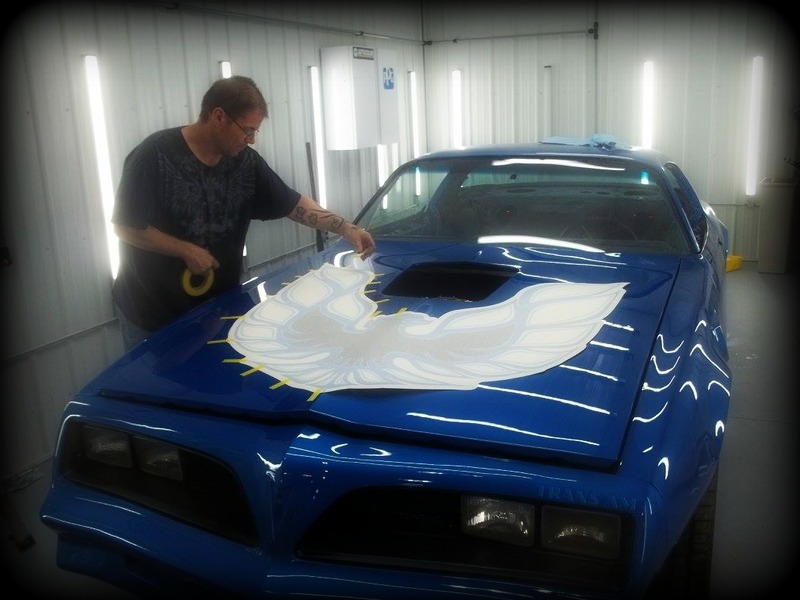 When you pick Farm Boy Garage for your custom muscle car restoration needs, you become a part of our family. Because we will be working so closely together, its only right you get to know the crew that will be taking care of all your muscle car restoration needs. Bryan Kratzer is a small town farm boy from Seymour, Iowa. He believes life is all about having great friends/family, staying positive, working hard and having a good time all the while making dreams come true. At an early age, Bryan developed a passion for nice cars that not only look good but go fast. Believing things can always be better, Bryan would do little things to improve the performance and appearance of all his vehicles. 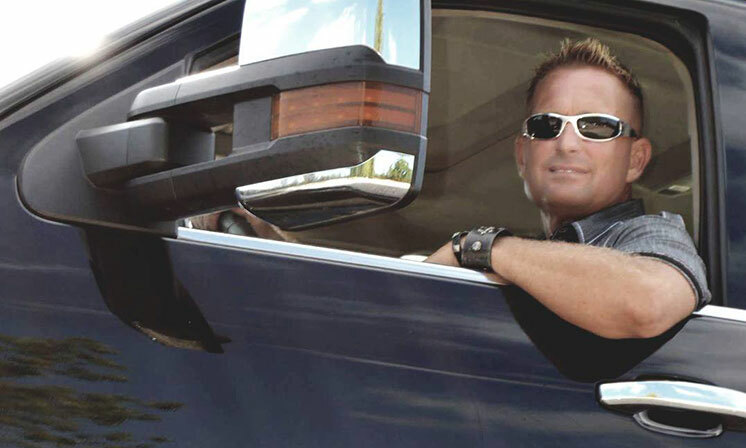 Bryan’s passion for muscle cars led to his dream of owning his very own shop. All of Bryan’s hard work paid off when in 2015 he purchased 5 acres outside of Des Moines and broke ground for Farm Boy Garage. Farm Boy Garage is minutes away from the capitol of Iowa, yet far enough to have the country feel and charm. Bryan worked day and night to build the nicest classic car restoration shop with high-quality equipment. It has been a long road to get to this point, but “we did it!” Bryan recognizes many people helped to make his dream a reality. He gives credit to his friends, family, and his community. 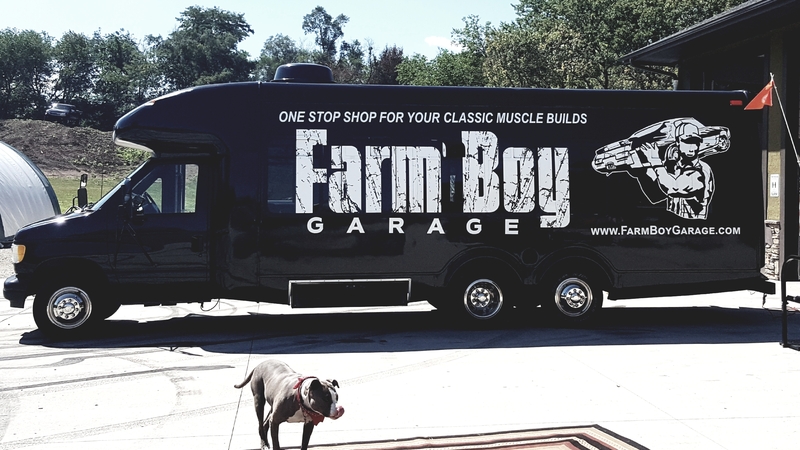 Farm Boy Garage was created for the person who may not have the time or knowledge to create their very own dream muscle car. Bryan lives for the thrill of locating the vehicle you desire and bringing it to life. Each car is designed specifically for that vehicle’s owner with everything being done in one place, by people you can trust. Bryan lives by the motto “my word is my bond!” and he will do whatever it takes to keep his word. It is not Bryan’s dream to be the biggest shop. 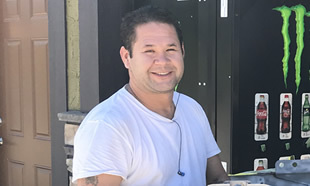 Bryan’s dream is to help others achieve their dreams, and of course to be the “best in all he does!” When making another person’s dream come true, there must be a solid foundation of respect and trust. 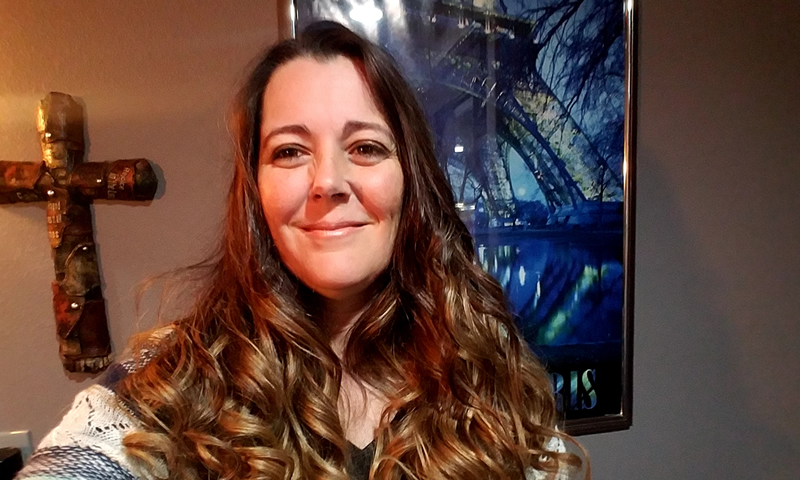 Coming from a small town, Bryan is able to provide each of his clients with a strong foundation for a feel good relationship which will last a lifetime. Bryan’s employee selection process is a little different than most. Each employee not only has to be an expert in their field, they must also be a good person. Each person must be positive, honest, loyal, dedicated, have the drive to be successful, hardworking, and have fun while doing it. 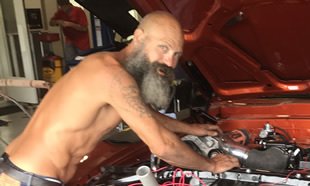 By selecting Farm Boy Garage as your muscle car restoration shop you not only get high-quality people restoring your vehicle you also gain a small group of people who believe in the same things as Bryan. Cuda is a 3-year-old silver pit bull. Bryan rescued Cuda from the Animal Rescue League of Iowa in 2017. 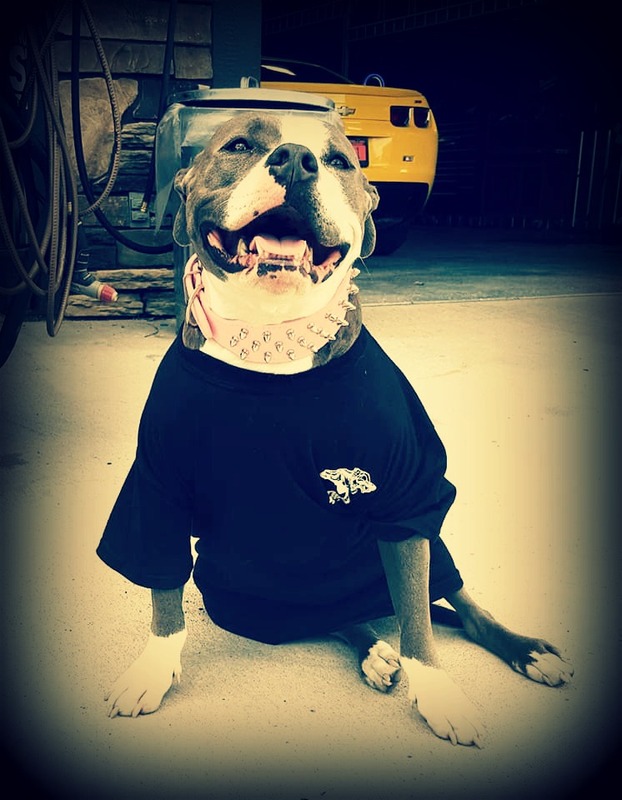 Cuda’s duties around the shop include sleeping on her comfy leather chair in the office and she is Farm Boy Garage’s Forman. She acts as Bryan’s eyes when he is not around to ensure everyone is working, safe and happy. When Cuda is not at the shop you might find her in the pond behind the shop playing with the frogs. Cuda loves to be pet and hang out with the crew. 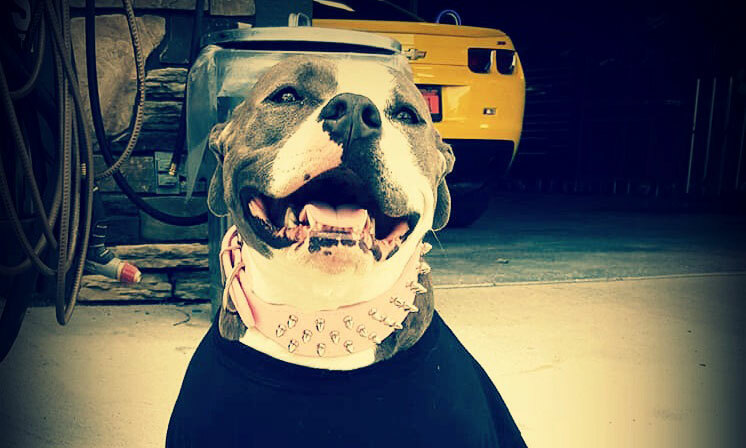 Her sweet temperament and demeanor can always improve shop moral. Don’t let her breed scare you, she is very compassionate and kind. Some Farm Boy Garage visitors love her more than the cars! John originates from small town Nauvoo, IL. 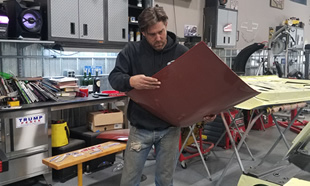 A graduate of South Eastern Community College located in Burlington, Iowa, John earned his degree in Auto Body and Repair. 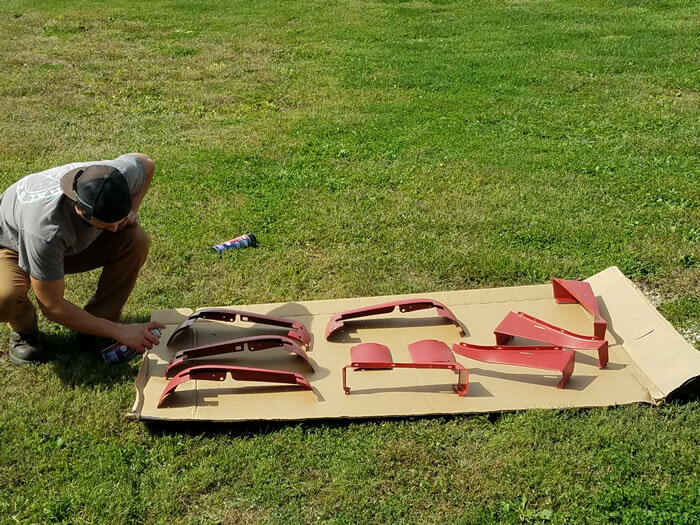 John’s love for muscle cars and restoration developed at the young age of 12 when he worked on vehicles with his uncle and neighbor who restored custom vans from the 1970’s. With more than 26 years of experience, it is no wonder his 1985 Monty Carlo SS won 23 awards. John’s appreciation and love for the classic muscle car led him to the door of Farm Boy Garage. Spending many months driving by and seeing all the classic cars sitting outside, he had no choice but to stop in and check the place out. 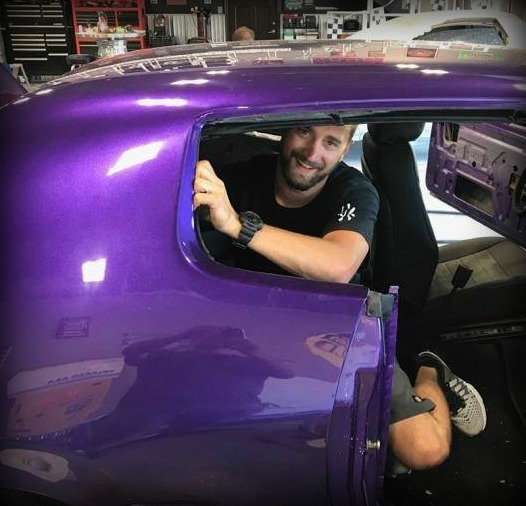 Bryan was here and the two of them shared stories and discussed their passion for the classic muscle car, leading to Bryan offering him a position with Farm Boy Garage. Nolan Hamilton was born and raised in Boone, Iowa. Nolan completed WyoTech in Laramie, Wyoming in 2012. 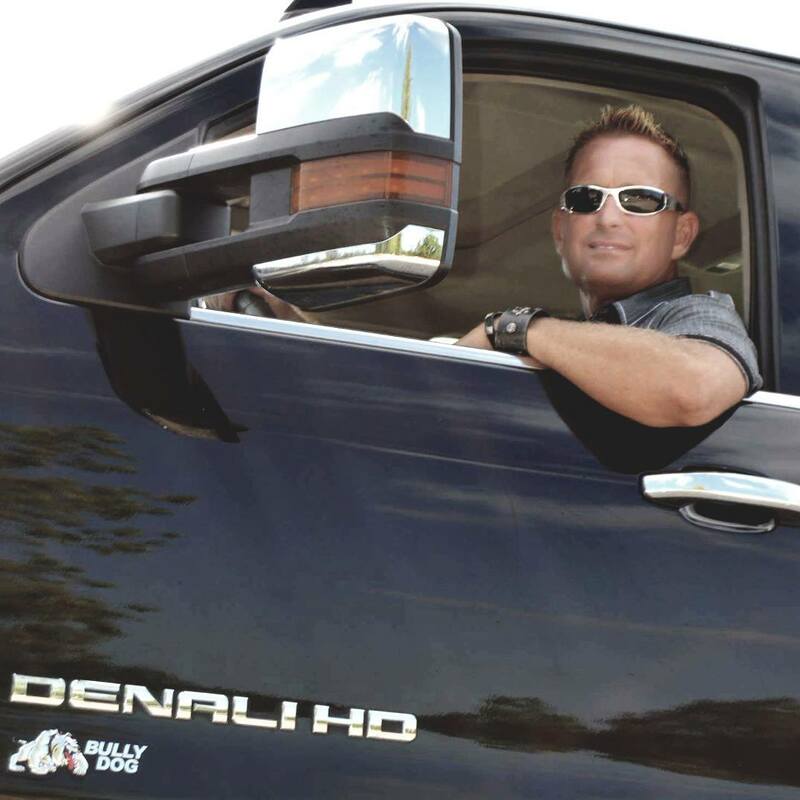 He received specialized training in automotive technology/trim and upholstery technology. He comes to Farm Boy Garage with 5 years experience. Nolan and Bryan became acquainted when Bryan was needing upholstery work done on one of his personal vehicles. Bryan was so impressed with Nolan’s work he handed Nolan his business card and said ” I am opening a muscle car restoration shop and would like it if you would come work for me”. A few months go by and Nolan found Bryan’s card in his wallet leading him to the door of Farm Boy Garage. Nolan and Bryan sat down over a cold beer discussed their love for the classic muscle car and the rest is history. 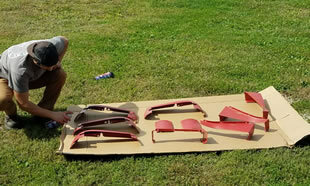 Nolan enjoys helping to keep his fathers 1977 Trans AM in pristine condition. 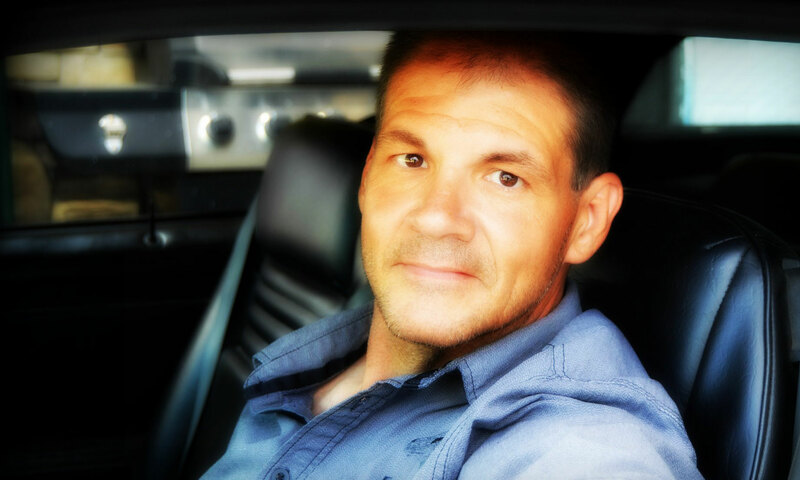 Nolan’s love for the classic muscle car began when he was a young boy and grew up watching the hit TV show “Smokey and the Bandit” with his father. In Early 2017 Nolan along with his father and uncle participated in the “Bandit Run.” The Bandit Run is a week long ride of more than 300 Trans AM’s beginning in Texarkana, Tx and ending in Atlanta, GA. To most people in attendance of the 2017 Bandit Run the presence of Burt Reynolds made it memorable and special, however to Nolan it is was the moment his father was presented with the “Bandit Award”. This prestigious award is given to the person with the best attitude. 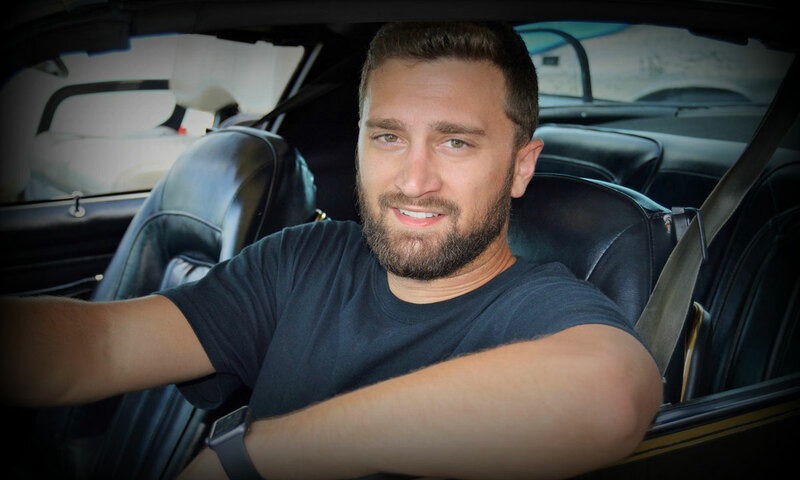 Nolan’s love for the classic muscle car and the love and admiration Nolan has for his father makes the 1977 Trans AM priceless. Nolan is a huge Iowa Hawkeye fan and when he is not doing upholstery work you will find him spending quality time with his girlfriend, son, family, on the mountains of Colorado Snowboarding, out in the water on a wakeboard, or sitting in the stands of an Iowa Hawkeye game. 10660 E. County Line Rd. Copyright © 2017-2019 Farm Boy Garage. All Rights Reserved.